FREE ONLINE BOOK: For my readers eager for more between publication of my Superromances, I'm offering a FREE online book. Each month I'll provide a new chapter. 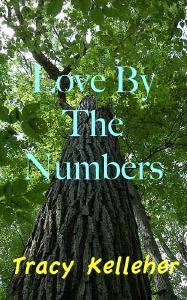 First up is Love By The Numbers, a screwball romantic comedy originally planned for Harlequin Flipside. Unfortunately, Flipside folded before this story of numbers-savvy C.J. Schubach and mountain man Liam McDonald could see the light of day, which really distressed me since I loved their interaction. So now I'm hoping you enjoy it, too! Naturally, it takes place in my favorite locale, Grantham, New Jersey. Talk about opposites attract--these polar opposites not only are vying for the same partnership at a local law firm, they also must team up to get to the bottom of a fishy land deal. Or, because this is New Jersey, maybe I should say a mosquito-riddled land deal?